IF YOU’RE PAYING for life insurance, a few tweaks could help you save up to €5,600. That’s according to the National Consumer Agency Survey, which looked at a number of companies and their offers. The NCA’s life insurance comparison survey revealed that consumers can make potential savings of up to €3,087 on mortgage protection insurance. Couples, meanwhile, could potentially save up to €5,687 on dual term-life insurance and €3,881 on joint mortgage protection insurance. The survey revealed that “small differences in monthly premium payments” can result in significant savings over the term of the policy, said the NCA. The survey also showed that smokers pay on average 85 per cent more for their life insurance. The NCA looked at six of the main insurance companies in Ireland. 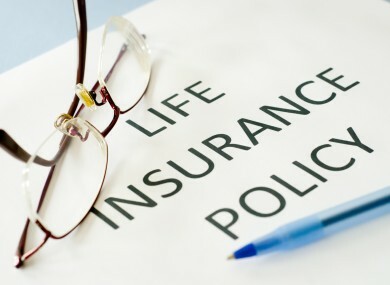 Four profiles were used to gather quotes on term life insurance, mortgage protection insurance and whole of life insurance. Fergal O’Leary, director of consumer contacts and insights at the NCA, pointed out that mortgage protection and term life are long-term insurance policies, and aren’t renewed annually, so it’s important to do research before you take out cover. Our survey highlights that what can seem like a small difference in monthly premiums can result in a large saving over the policy term. For example, a difference in a monthly premium of €2.74 for a 23-year-old non-smoker seeking term-life insurance cover over 35 years results in a saving of €1,151 over the policy term. He urged people to compare the quotes from a number of companies and/or brokers before they take out cover. The survey shows that smokers pay, on average, 85 per cent more for their life insurance. For example, they looked at a 45-year-old consumer seeking cover of €190,000 for 15 years. If this consumer did not smoke they would pay on average €32.26 per month, however, if they do smoke they would pay on average €63.36 per month. O’Leary said that if you haven’t smoked in the past 12 months, “you may be able to substantially reduce the amount you pay on your monthly premiums”, so you could check this out with your provider. The NCA’s research also considered how changes in relation to mortgages may impact on mortgage protection or term life insurance. It was found that if there is a change to the original mortgage, the existing policy may not be sufficient and you may be left with a shortfall in cover. O’Leary also advised that anyone who is thinking of making changes to their mortgage, to inform their insurer in writing. For more help, the NCA has a website that you can visit. Email “'Small differences' can help you save up to €5,600 on life insurance”. Feedback on “'Small differences' can help you save up to €5,600 on life insurance”.